Goblins are used by the orcs as skirmishers to disrupt the enemy’s battle line. 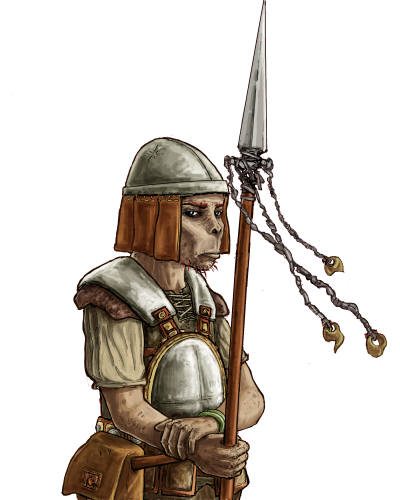 Those who manage to survive their first few battles equip themselves with a long spear to compensate for their short reach, and better armor to guard their diminutive frames. Last updated on Sat Apr 13 00:38:24 2019.